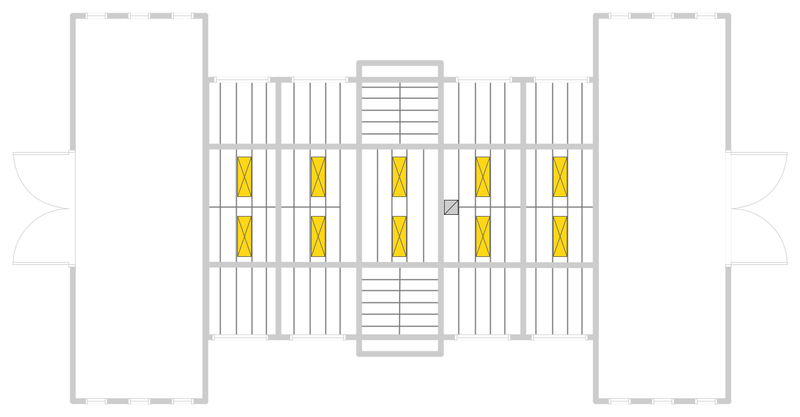 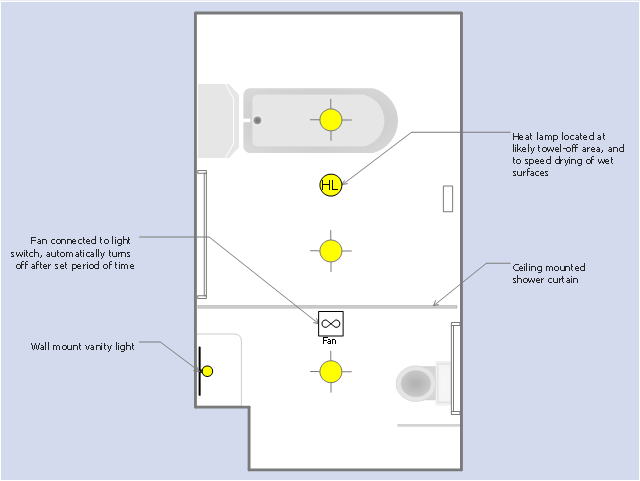 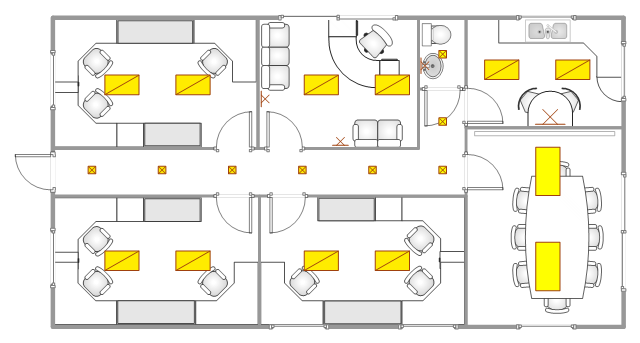 This reflected ceiling plan (RCP) sample illustrates the office lighting scheme. 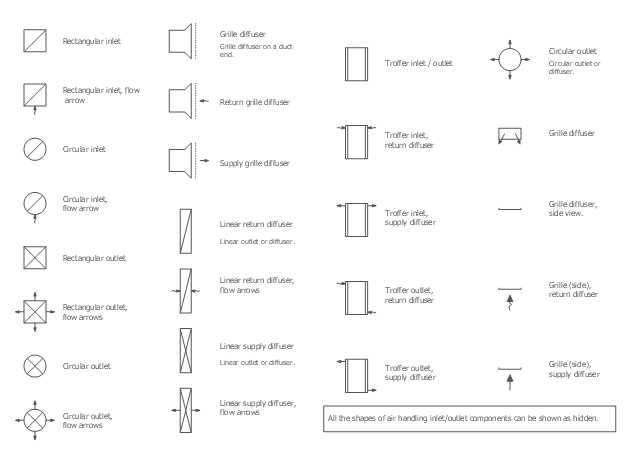 The vector stencils library Registers, drills and diffusers contains 47 symbols of rectangular, circular, linear and troffer air handling inlet/outlet components. 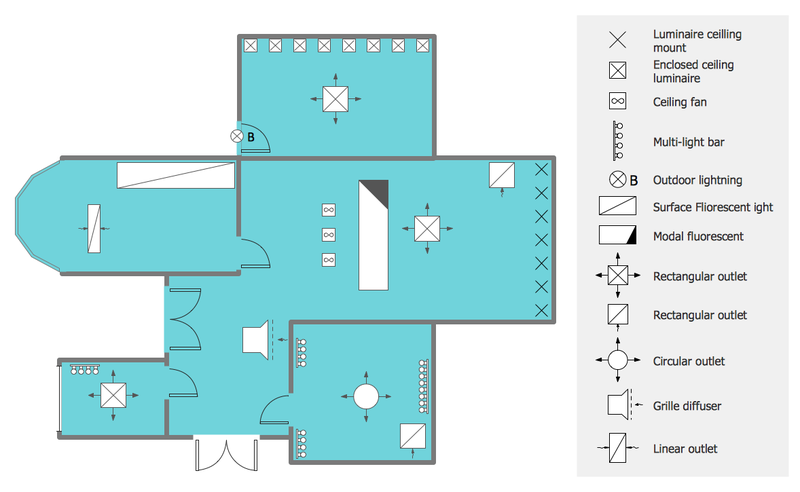 Use the design elements library Registers, drills and diffusers to draw reflected ceiling plans (RCP) and HVAC layout floor plans using the ConceptDraw PRO diagramming and vector drawing software. 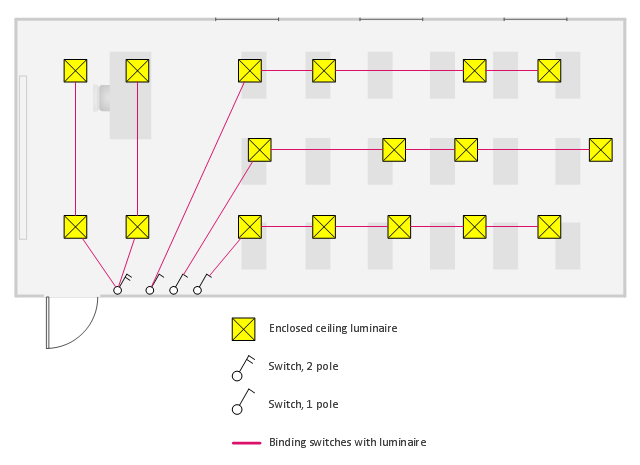 "A ceiling is an overhead interior surface that covers the upper limit of a room. 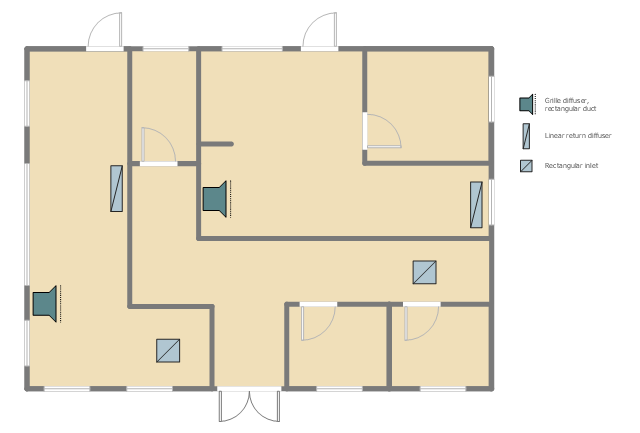 It is not generally considered a structural element, but a finished surface concealing the underside of the floor or roof structure above.